This is the best way to encounter the Asheville River Arts District. - YOUR CHANCE TO BE THE ARTIST! Our experience tour is sure to be a hit.. get a glimpse into the making of art and be making your own art...all in the same day! Maybe you're the type of person who has always admired a piece of pottery and wanted to throw your own hand at it, or you've seen the thrill of liquid lava being dipped in and out of the fire, blown, and sculpted into a fine piece of glass and you just have to try it yourself. Or maybe you feel you don't have an artistic bone in your body and just think it'd be fun to kick back with some friends and try something new. We'd love to guide you in an experience tour, sure to be an unforgettable day! You must be ages 13+ for the Experience Tour. The best way to truly experience the River Arts District is with Asheville Art Studio Tours!! 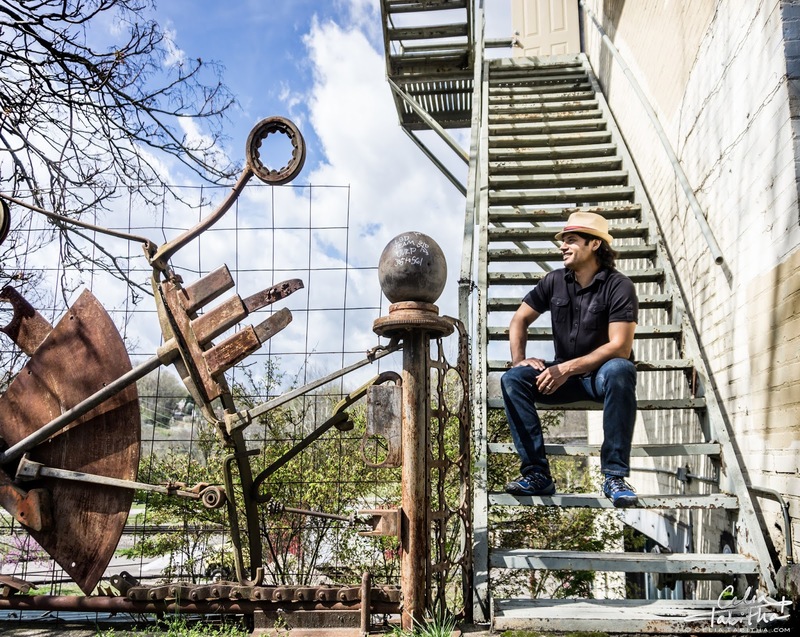 Developed and often led by an acclaimed River Arts Artist, Asheville Art Studio Tours gives you an inside look into the wonder of what's happening in Asheville's thriving arts scene. 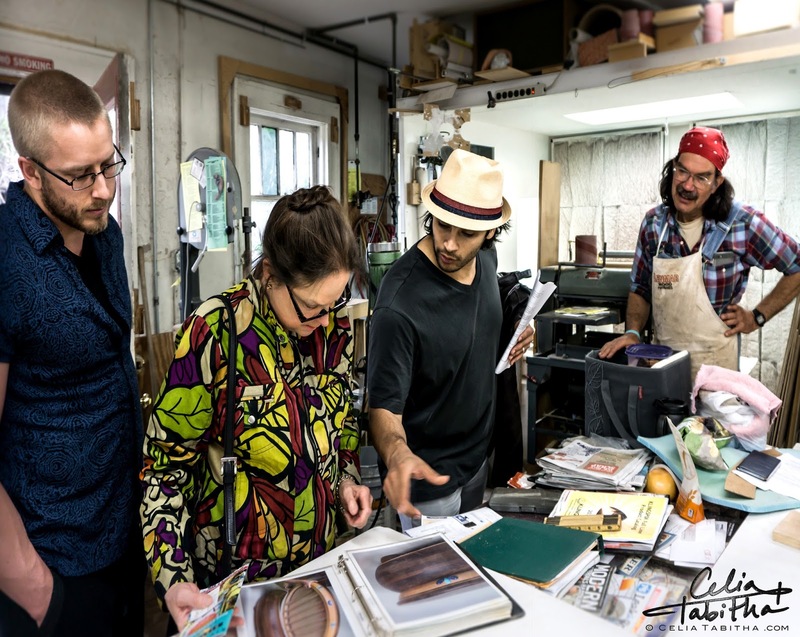 Whether you are a local or from out of town, the personal connections we have with artists and studios can help you maneuver into the heart of this ever evolving area. The small numbers in our tours give you the chance to connect with your guide, each-other and the artists along the way. 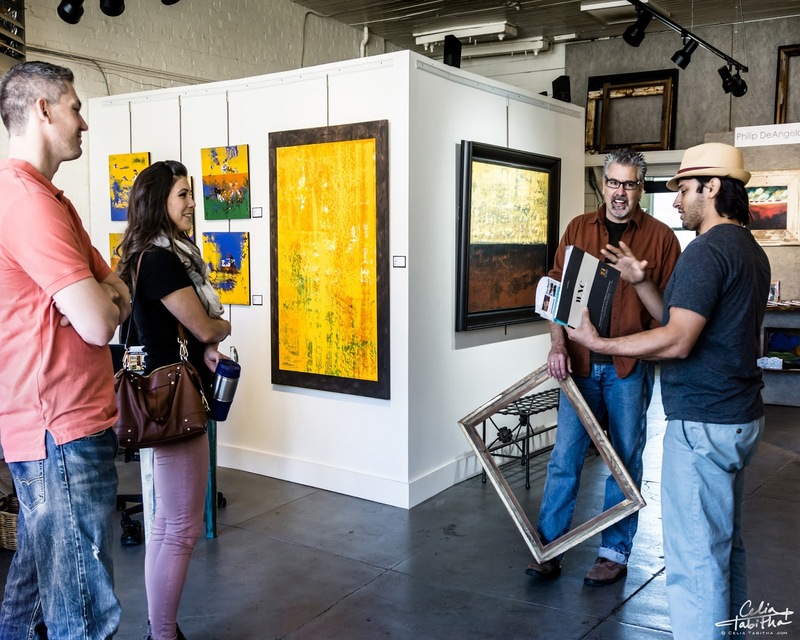 Book a tour soon for your behind the scenes, insider experience in the River Arts District! Asheville Studio Art Tours is owned and operated by glass artist, John Miguel Almaguer. John has been creating work for his company Almaguer Glass at the Asheville Glass Center right in the heart of the River Arts District for years. John decided to start these tours after seeing an ongoing need for them. There is a lot of mystery to the River Arts District and it can be very confusing to get around at times. He felt Asheville Studio Art Tours would serve as a solution to help visitors in the River Arts District better explore this vast and diverse community of artists and studios. And what better way to explore this special and unique area but by a small intimate guided tour by one of the artists of the district themselves. We look forward to meeting and getting to know you when you come join us on your next tour. Visit AlmaguerGlass.com to learn more about John and his glass work. My heart in making these tours is to give people an enriched experience into the River Arts District. I lived for a time on the Venetian Island in Murano, Italy where about 85 studios on this small island were wholly devoted to glass art. 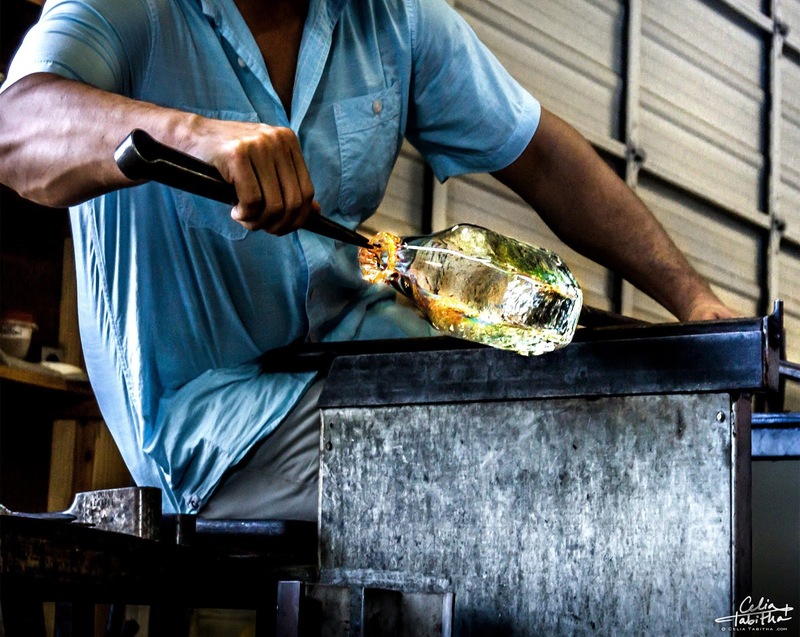 Secrets of glass blowing & sculpting were birthed here. Still, through this experience I realize even more just how special the River Arts District is. The River Arts District has over 160 studios and much more diversity of artists and mediums. This is honestly matched by no other area I know of in the world. This truly is a real center and heart beat of Asheville. This tour is for locals and visitors! One of Asheville's best breweries resides in the River Arts District. This says a lot from a town who won Beer City USA 4 years in a row. The River Arts District doesn't just do art well they do beer and food amazing as well! Another tucked away treasure in the River Arts District is 12 Bones. On any given day lines wrap around the corner for this BBQ liquid gold. Even the president has been known to make a stop there! In every sense of the word it's a place for all tastes! There is so much more as well that I could go on and on about all the amazing businesses in the River Arts District! If you are looking for other things to do in town here is a great site, click on the logo to visit the site.